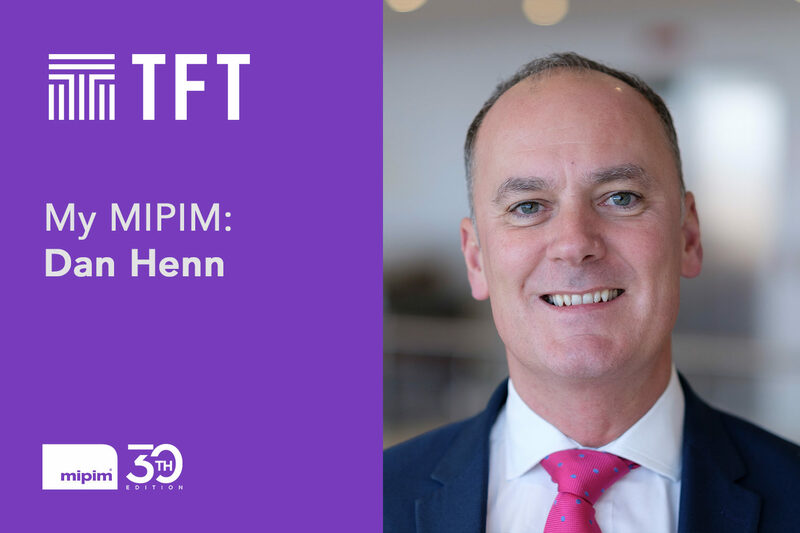 As we start to imagine the sand between our toes and the smell of the fresh ocean air, we spoke to another TFT MIPIM attendee, Dan Henn (Partner and Head of Development & Project Consultancy) to get his view on regional trends and how to seize the opportunities MIPIM has to offer. What has changed the most in the industry, since MIPIM 2018? Despite the uncertainty surrounding Brexit, the property and construction world seems to be more or less business as usual. There was a hiatus of decision making in the industry after the May 2017 general election but eventually those time-bound decisions that weren’t being made (which were becoming urgent) had to be made – and the work continues apace. What would you like to see more (or less) of at MIPIM 2019? More sunshine and less rain! What industry topic isn’t getting enough attention? Retail parks. We are all very used to hearing about the high street and the need to keep up with the pace of the changing consumer behaviour, as our shopping habits become more online-oriented. Will retail parks fall by the wayside, will they become more important, or take a new form altogether? We’re seeing such a demand across other burgeoning sectors (industrial, logistics, build to rent and senior living) – they represent a wealth of opportunities to re-purpose poorly trading sites into an alternative high performing asset. What regional trends would you like to explore at MIPIM? I’m interested in the booming market in the midlands. Following an uptick of activity TFT is investing in project management and cost consultancy resources to match client demand for our services across the region. Elsewhere, there are interesting micro-markets in London where demand for offices is still strong and fuelling development. What should every MIPIM first-timer do, or not do? Don’t fill your diary up too much! The temptation is to accept every offer going in a hope to make sure that you are fully occupied. The real value is in those chance meetings walking along La Croisette or queuing for a drink at the London stand. On a similar note, avoid those tempting lunches at a fantastic venue but out in the sticks. As nice as they are, they can take you away from the hub where those chance conversations are happening.